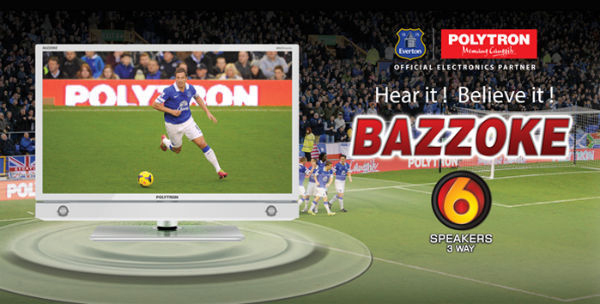 Indonesian TV buyers can’t stand weedy sound – they want their tellies bombastic! Today’s missive from the ‘Who knew…?’ department here at Words and Music comes to you courtesy of Indonesian electronics company Polytron, which has a range of TVs selling under the Bazzoke banner – and they’re designed for serious bass. In market sector more about super-slim screens than stunning sound quality, Polytron – or PT. Hartono Istana Teknologi to give it its full name – is catering for the tastes of consumers who like watching music on their TVs, singing along and dancing, as is the Indonesian taste. Yes, there are some good-sounding TVs available in other markets, but they’re usually a) expensive, and b) the ones achieving audio quality with a bit of a cheat, such as the separate speaker bar Bang & Olufsen uses on its BeoVision sets. And yes, you can also boost the sound of your telly with the addition of an aftermarket soundbar – I gather they’re all the go at the moment – which is what some Indonesian buyers are choosing to do. But that’s not the Polytron way: built into its 32D900 and 32D905 32in LED-lit LCD TVs, on sale now in Indonesia at prices from not much more than £200, is the Bazzoke speaker system, combining two piezo tweeters, a pair of main drivers and two XBR subwoofers. Why this demand? Well, Indonesians are heavily into dance-type music, from dangdut – which combines Indian and Arabic folk influences with rock – to Western dance and pop, and so they want TVs able to deliver chest-thumping, stomach-shaking bass from their fave TV music shows. 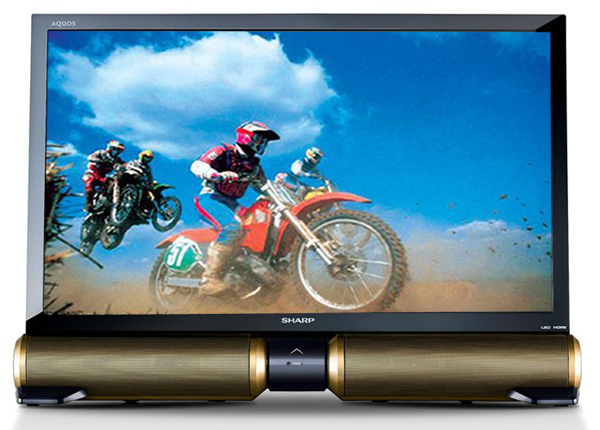 And the Japanese TV companies selling into Indonesian have found themselves having to get on-trend: Sharp, for example sells its IIOTO range there, IIOTO meaning ‘good sound’, and developed the TVs using market research with Indonesian customers. The result? Their survey said ‘Give us more bass’, and so out went the usual flat TV design of speakers behind the screen or venting downward, and in came a design (above) with a cylindrical speaker bar integrated below the screen – not at all what sells back home in Japan, but perfect for those dancing, chest-thumped Indonesians. Well, if it gets people away from watching TV on their smartphones and back to enjoying the big-screen stuff with a big sound, I guess it could enable the Japanese consumer electronics companies to stake their claim in this fast-growing market. After all, it saw a 30% jump in TV sales in 2012, and was still showing double-digit growth last year. And given that Indonesia has the fourth largest population in the world, estimated to hit just under 254m this year, that’s a market-share well worth having. 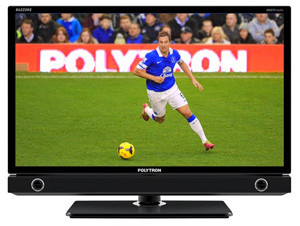 By the way, you may be wondering what’s with the Everton shirts in the Polytron product shots: it’s simply that the TV manufacturer and the football club have a marketing deal, using the fame of the team to sell its products in Premiership-mad Indonesia.